Crime Stoppers encourages anyone with information about the Missing Person featured below to call Crime Stoppers of San Angelo or submit a webtip. 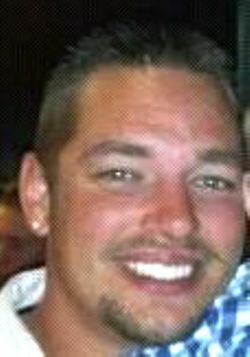 THE COKE COUNTY SHERIFF`S DEPARTMENT AND TEXAS RANGERS ARE SEEKING INFORMATION PERTAINING TO THE AUGUST 8TH, 2013, DISAPPEARANCE OF BRANDON MASON LAWSON. MR. LAWSON`S VEHICLE WAS FOUND ABANDONED AFTER RUNNING OUT OF GAS ON US277, SOUTH OF BRONTE, TEXAS. MR. LAWSON IS APPROXIMATELY 5`09" AND WEIGHS APPROXIMATELY 230 LBS. MR. LAWSON HAS BROWN HAIR, BLUE EYES AND MULTIPLE TATTOOS. HE WAS LAST SEEN WEARING A YELLOW SHIRT WITH CAMO SHORTS AND WHITE AIR MAX SHOES.